After months of teasing and previews, Google finally dropped Android Wear 2.0 today. Tons of awesome features, but almost no apps that take advantage of them yet... Bummer. If you have used my work in the past though, you know that Klinker Apps is always on top of the latest and greatest, and you don't have to worry about that with Pulse. 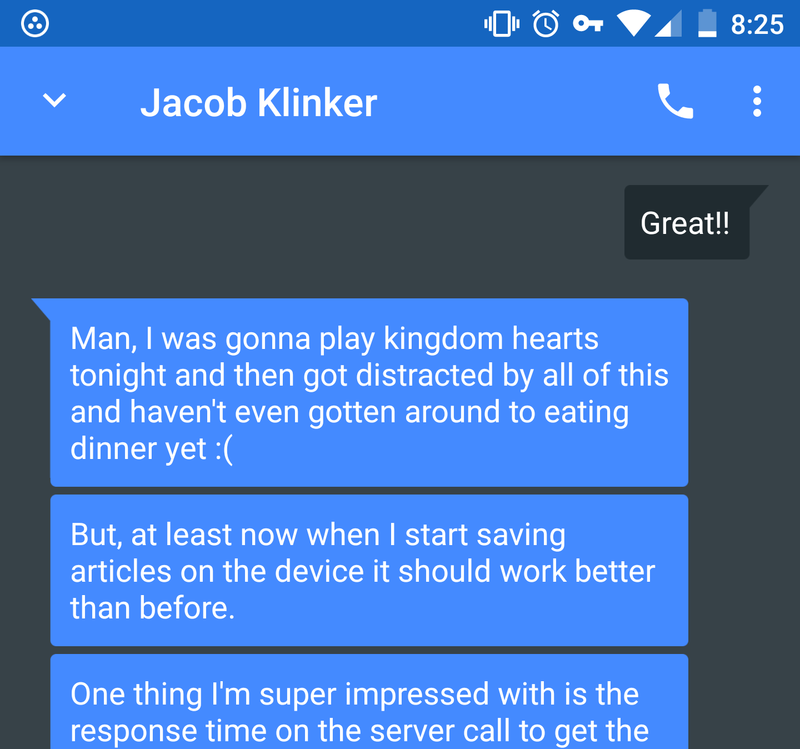 To go along with the major new Android Wear 2.0 release, I am releasing a stand-alone Android Wear app for Pulse SMS! An Android Wear app is something that I have been looking to make for a very long time, I'm excited that Google finally pulled the trigger and I am able to release it! The app works just like any other Pulse SMS client (tablet, Chrome app/extension, or the web app). You can log in, then view all your messages and conversations, write replies, do group messages, use your themes, all the basics and even use the article viewer, with way more planned for the future. To download the app to your watch, it should be as simple as visiting the Play Store on Android Wear. 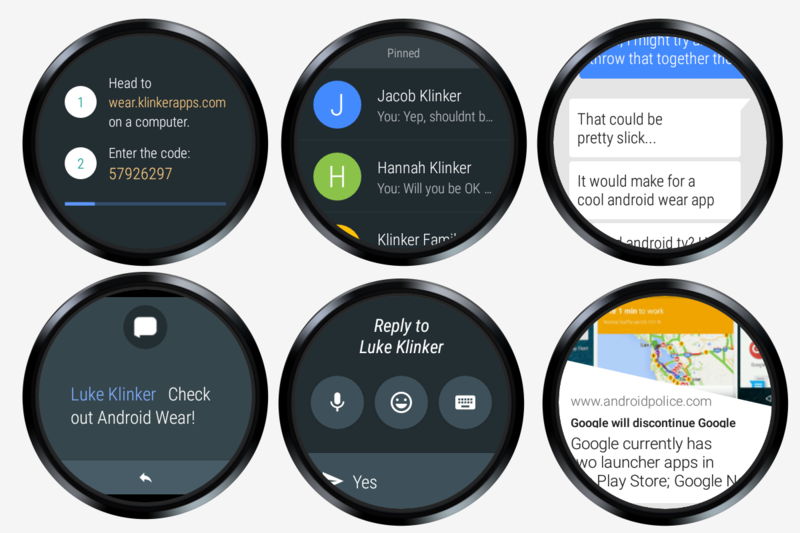 If you have Android Wear 2.0, let me know what you think of the new platform! Don't have an Android Wear watch? Most people don't and that's ok. Even though it is right after the last update, I still have something for you with Pulse 2.0! I have revamped the spacing on the message list to do a better job of grouping messages. Now, whenever multiple sent or received messages are next to each other in the list, they will be displayed closer together, with different bubbles to make them appear as a group. This is a much better experience, in my opinion. It looks better, and allows you to fit more messages on the screen. Enjoy the update 'all! Pulse is better than ever. Especially if you have a watch that will be getting Android Wear 2.0: try Pulse - I know you will love it!